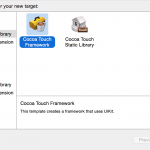 CocoaPods are the de facto way of sharing and distributing iOS and OS X code. It manages third-party dependencies in a easy, fast, and safe way. There are thousands of CocoaPods available, but almost all of them are in Objective-C. Today I’d like to show you how to create a CocoaPods in Swift. The user interface for smart watches is vastly different than what we’re used to. We are entering a new era of UX that involves creative thinking on how we can use the ridiculously small screen real estate, while still giving the user enough power to interact with it. One thing that comes to mind is how do we enter numbers into smart watches. 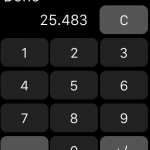 In this post, I would like to show you how to create a number keypad for Apple Watch. Displaying a list of records to users is one of the most common needs for any application. We see this from grids on the web, to table list views on iPhones, and now the trend should continue in Apple Watch. 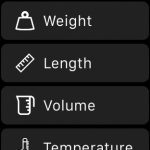 In this post, I’d like to show you how to add a table to your Apple Watch app. 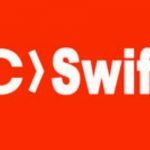 Are you rocking Swift yet? Now is time to share your code across the whole project for maximum reusability. This becomes even especially essential when creating Apple Watch apps since sharing code between the watch and the phone is a natural occurrence. In this post, I will show you how to create a framework in Swift to do this. Smart watches are a new approach, a new way of thinking, a new way of designing, and it’s on your freaking body! Smart watches will change the way we interact with our devices unlike any time before. And Apple has the track record to lead the mobile revolution forward. 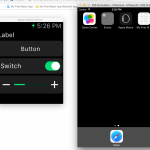 In this post, I will show you how to create your first Apple Watch app.